Oli McBurnie put Swansea in front but West Brom bounce back thanks to Craig Dawson and Ahmed Hegazi. Swansea manager Graham Potter responded to the 4-1 weekend defeat against Norwich, their heaviest of the season, by deciding on a change of formation. Potter began with three at the back for the first time this term as Tottenham loanee Cameron Carter-Vickers made only his third league start alongside Mike Van Der Hoorn and Joe Rodon. Swansea's new system appeared to be working as Daniel James had an early of sight of goal before McBurnie's 10th-minute opener. Albion goalkeeper Sam Johnstone could only push Matt Grimes' firm shot into McBurnie's path and an unerring finish gave the Scotland striker his eighth goal of the season. 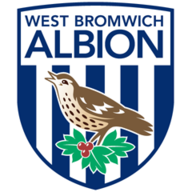 But West Brom were level within three minutes as Matt Phillips sent his corner to the far post and Dawson rose above Connor Roberts to score with a looping header. Swansea should have regained the lead when Leroy Fer and Bersant Celina combined to send James scampering through. The Wales international opened his body up to curl his attempt into the far corner, but he mishit the effort and Johnstone collected easily. Swansea paid for that miss a minute before the break when Albion profited from another deep Phillips corner. This time Mulder was badly at fault as the ball cleared him and Hegazi headed in from a few yards out. Albion survived a strong penalty appeal when Dawson leaned into Martin Olsson's 53rd-minute cross and the ball appeared to strike his arm. 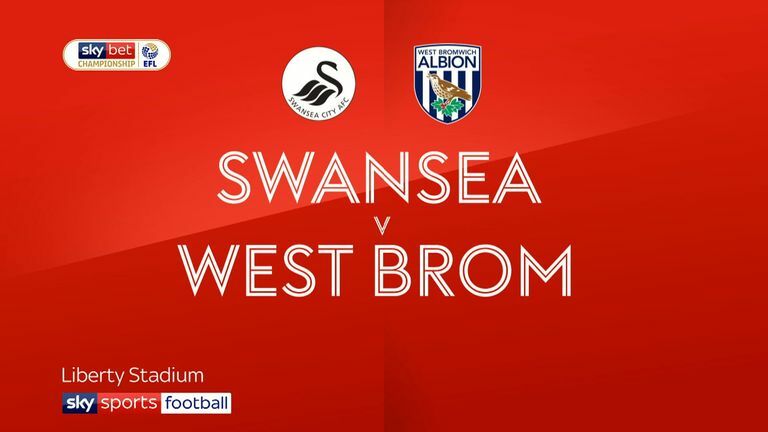 But Swansea struggled to develop attacks in the second period as West Brom recycled possession well and, in a clear tactic, Hegazi nearly profited from another set-piece directed to the back post. Harvey Barnes almost gave Albion breathing space but his splendid 20-yard curler came off back off a post with Mulder well beaten. West Brom were dictating matters now and James Morrison snatched at another opportunity from the edge of the box. 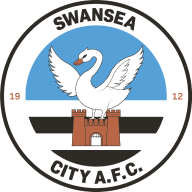 But Swansea sent on Jefferson Montero and Wilfried Bony in the final quarter and the visitors' goal finally came under belated pressure. Swansea forced a series of corners and Rodon saw a header deflected on to the top of the crossbar, but that was a rare moment of Albion anxiety. Graham Potter: "We've lost two games against two good teams. We were deservedly beaten on Saturday but our performance here was good. It's hard to be really positive, but the performance was something to go forward with. "We have to keep working in that way and respond on Saturday." Darren Moore: "It's learning and developing as you go along. Looking back at that bad run, there were things we needed to be better at and I like to think we've ironed out one or two things. "The international break has allowed us to do that. It's pleasing to get the third win, but we keep chalking them off one by one. It's just about approaching every game and trying to win matches."